There’s a much faster, cheaper and less disruptive alternative. 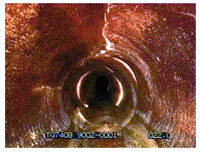 A combination of Amtec’s Specialist Inspection Techniques including “Standard” CCTV Methods, radar and sonar as appropriate for dry, semi-surcharged or full pipes. 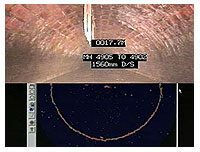 Inspect your sewers as they normally function to spot developing problems before conditions deteriorate and require urgent remedial work. Proper Asset Management is “Knowing what you have and knowing how it works“. Amtec has been operating successfully in the US for more than 10 years and internationally in excess of 20 years. Amtec is a Pipeline Inspection company, with vast experience in “standard” and Specialist Inspections Techniques, especially larger sewers with high flows (up to 15ft in diameter). 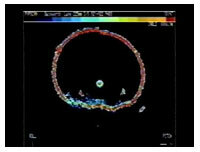 Amtec is known, world wide, for its innovative approach to all aspects of pipeline assessment. Amtec has the most experienced Management team in the industry today. Amtec is also an Inspection Data Management Specialist and can supply a variety of Management reports for rapid engineering decision making even without computers. All Rig Manager / Team leaders hold all relevant certificates (WRc, PACP, Confined Spaces, Traffic Management etc. ), each having more than 12 years specific site experience. All Rig Manager / Team Leaders are Quality Controlled.